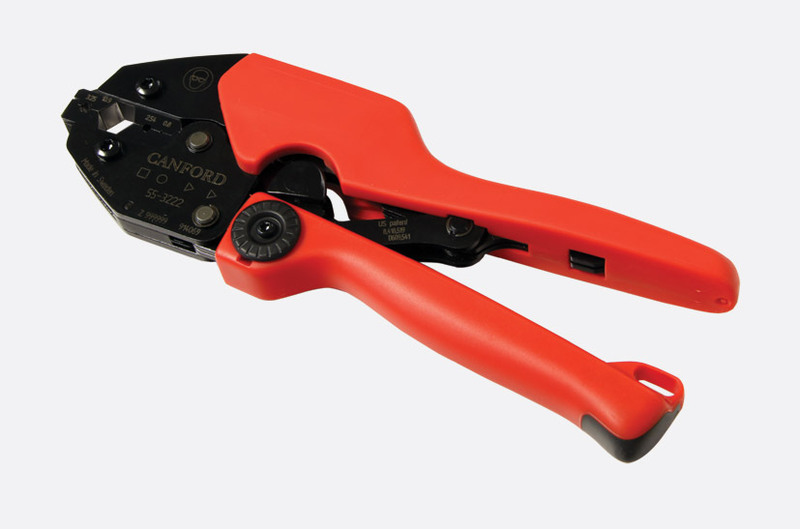 This range of ratchet-action, precision, crimp tools for coaxial connectors are each supplied fitted with the appropriate die-set for Telegartner BNC HD connectors. The tools are constructed with high-strength, hardened, alloy steel to ensure a long life span and are guaranteed for a minimum of 50,000 cycles. 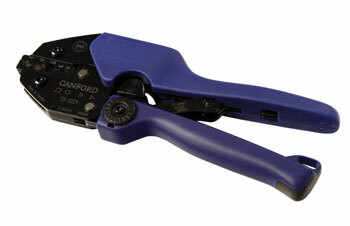 The unique design mechanism, coupled with optimised handle materials, reduces the strength required to conduct a crimping operation. Handles are colour coded to aid identification; the lower handle has a non-slip foot that can be used to hold the tool in place when leveraging on a work surface. There is also an eyelet that can be used for connecting a lanyard. The tools have a precise, eccentric, adjustment for consistent performance and accuracy of crimp, together with a recessed ratchet release. X Blue 48-787 / 48-777 Canford SDV, SDV-LFH, SDV-X-LFH, SDM-LFH, Belden 1855A, 1855ENH, Draka 0.6/2.8 AF, HD PRO 0.6/2.8 AF. Note(2): Single / bulk, Telegartner BNC HD.